University today! I was difficult, and slightly sole destroying when work you’re happy with isn’t what your lecturers had in mind. However, my day was made much better by this amazing thing! (And Claire.) 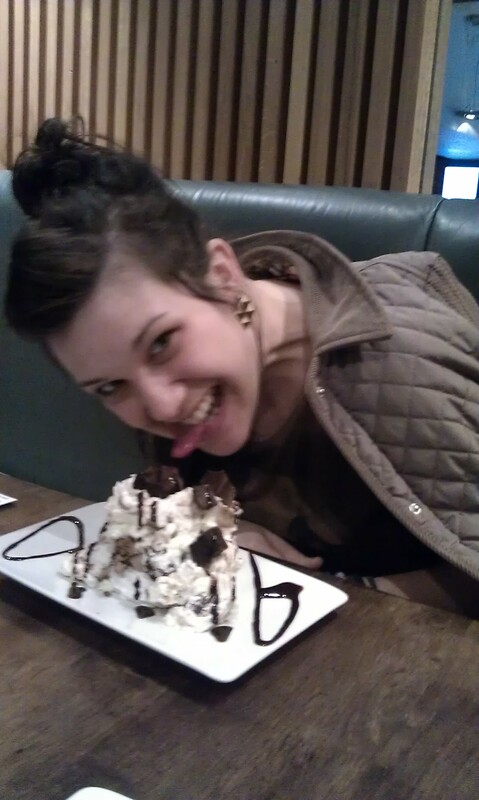 This pudding was amazing, part of our lovely ‘tradition’ Monday lunches in Revs. Yummy.